The Tony Curtis Principle postulates that as individuals of significant talent die, individuals of lesser talent rise. I think I thought of this idea when I was a bit younger and realized that as true legends like Jimmy Stewart and Henry Fonda were dying off half-legends like Mickey Rooney and Tony Curtis were suddenly being looked at far more favorably than they would otherwise be looked at. 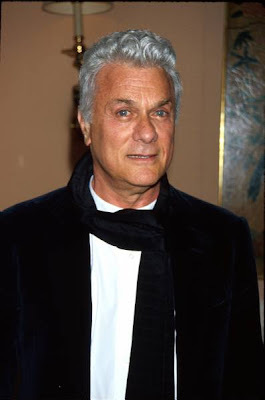 Simply living and surviving suddenly made Tony Curtis a serious interview subject even though, by any honest reckoning, he did far more crappy films than Jimmy Stewart, Henry Fonda, or Spencer Tracy did. That's not to say that Tony Curtis, or Mickey Rooney, didn't do some amazing work; it's just to say that the garbage outweighs the masterpieces for some performers. I mean, really, can you envision any scenario where Jimmy Stewart would have starred in Casanova and Co. (1977), or The Manitou (1978)? There's a sort of Tony Curtis Principle at work in the music industry but there the principle is more about the lowering of standards and less about the dying off of legends. Case in point: I like Ed Harcourt's skills as a songwriter and performer but I'd never be stupid enough to compare him side-by-side with Grant McLennan in 1988, or Neil Finn in 1987. In a world without The Go-Betweens, he's pretty good; in a world where Spring Hill Fair (1984) is still spinning on record players, he's an also-ran. Tony, I loved The Manitou -- and Casanova and Co. -- for all the wrong reasons!